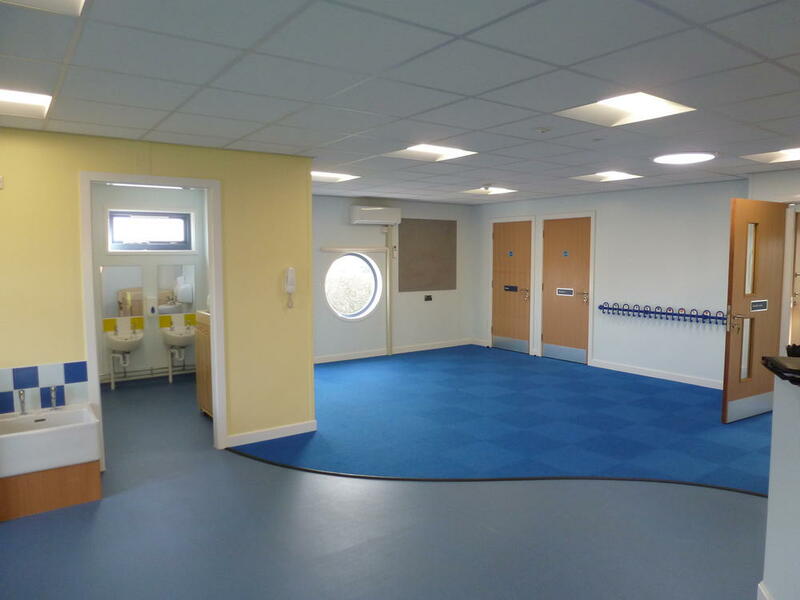 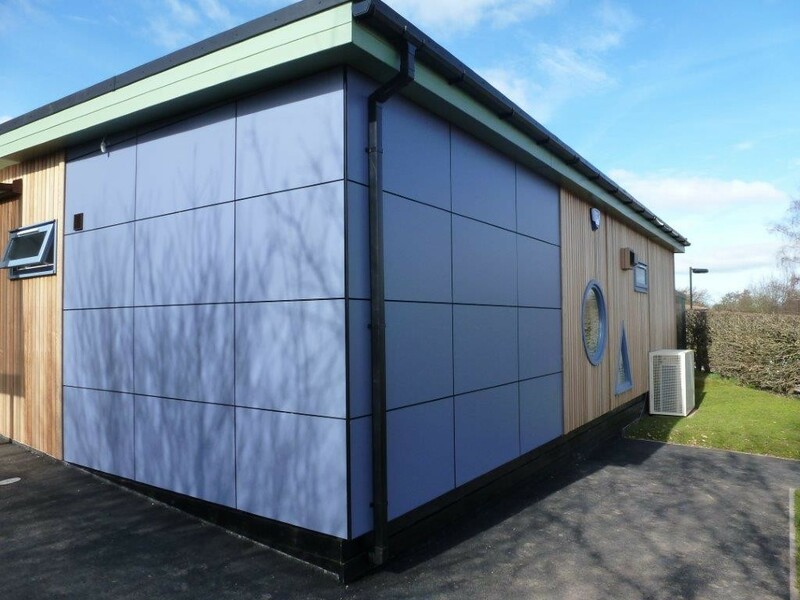 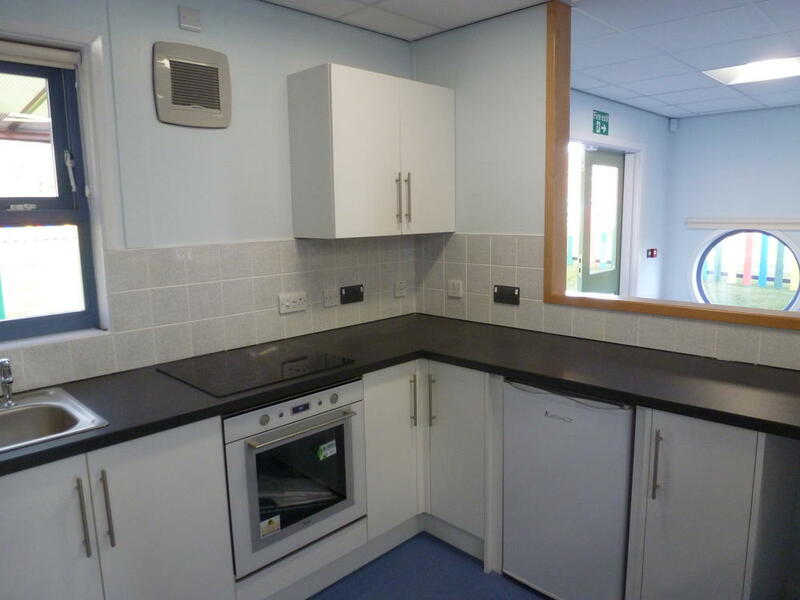 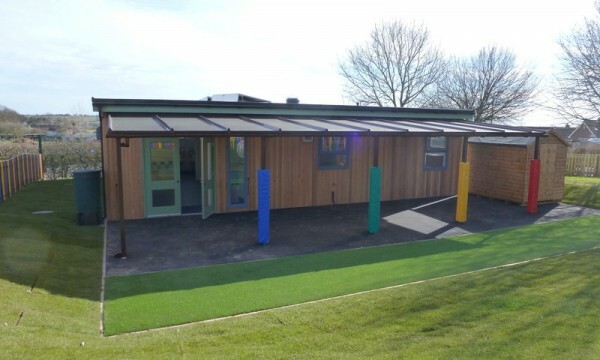 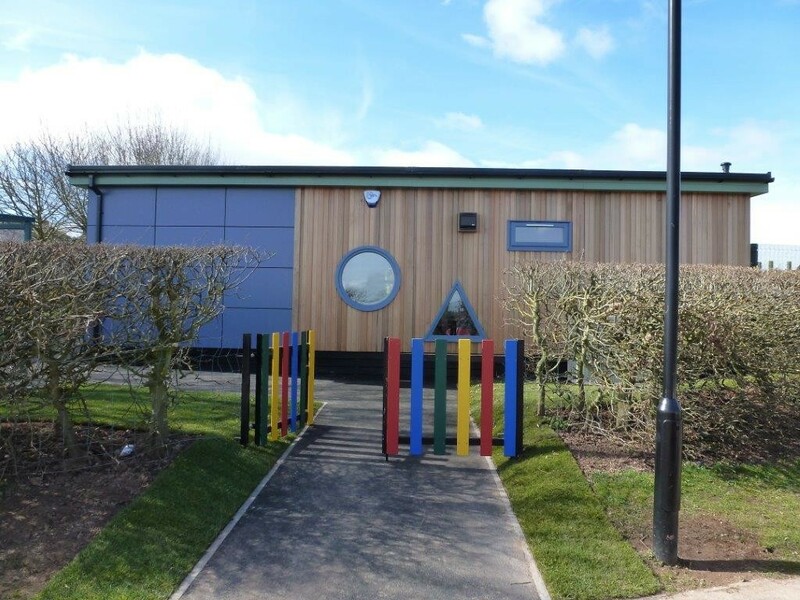 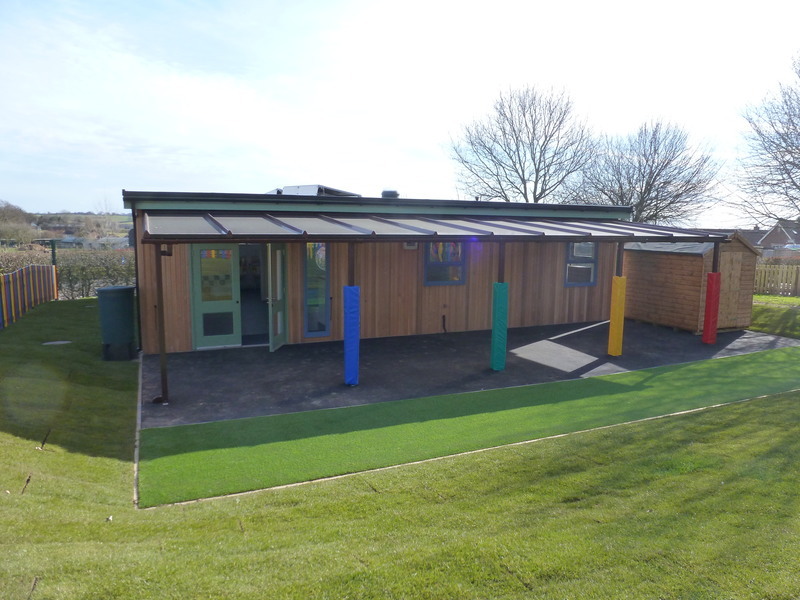 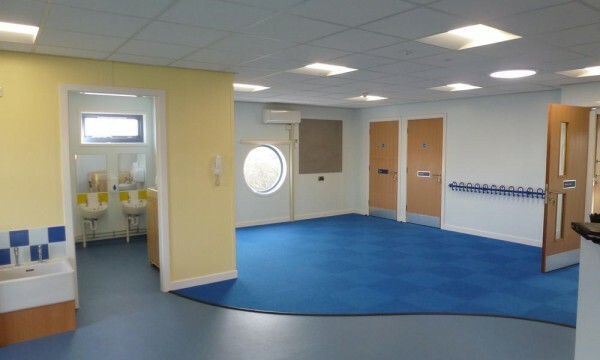 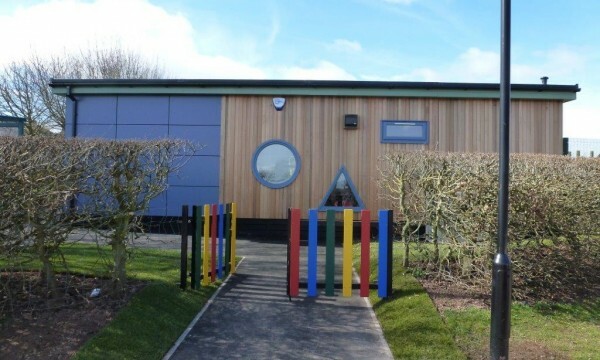 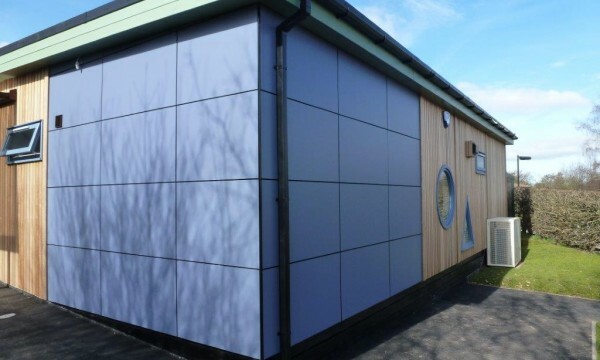 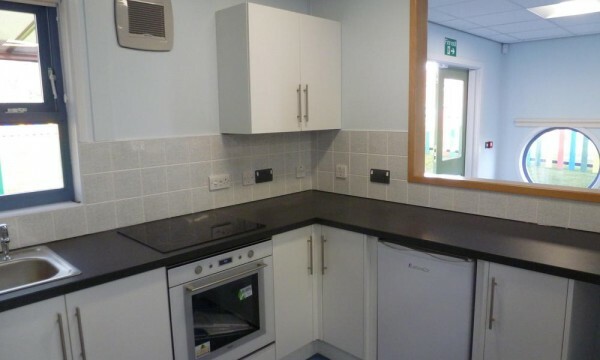 Brown Clee Primary School Buildings - Ditton Priors, Shropshire - RG Stones (Buildings) Ltd. 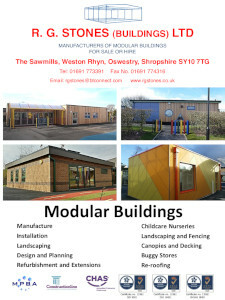 Showing a 4 bay modular building constructed for Brown Clee Primary School. 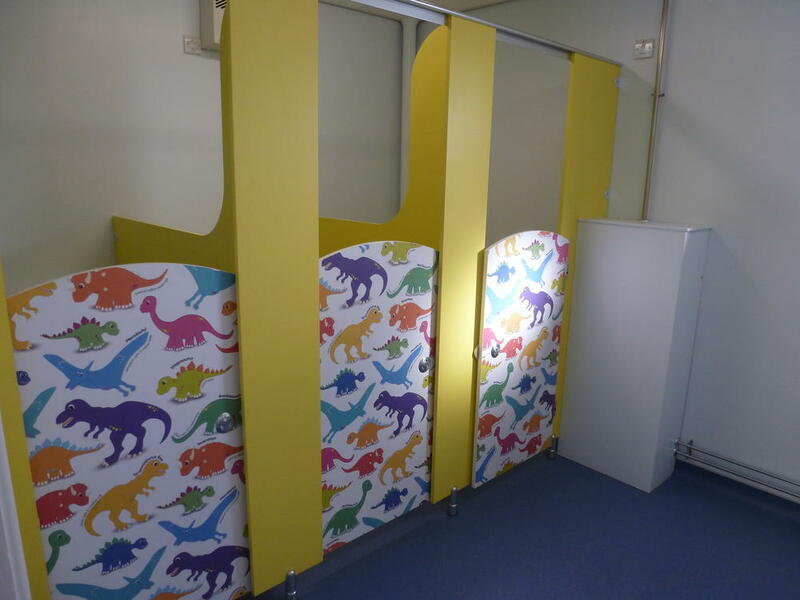 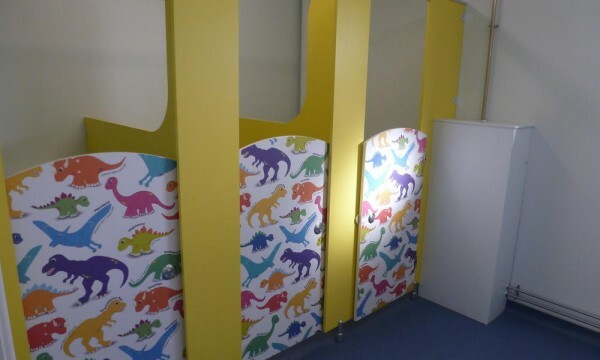 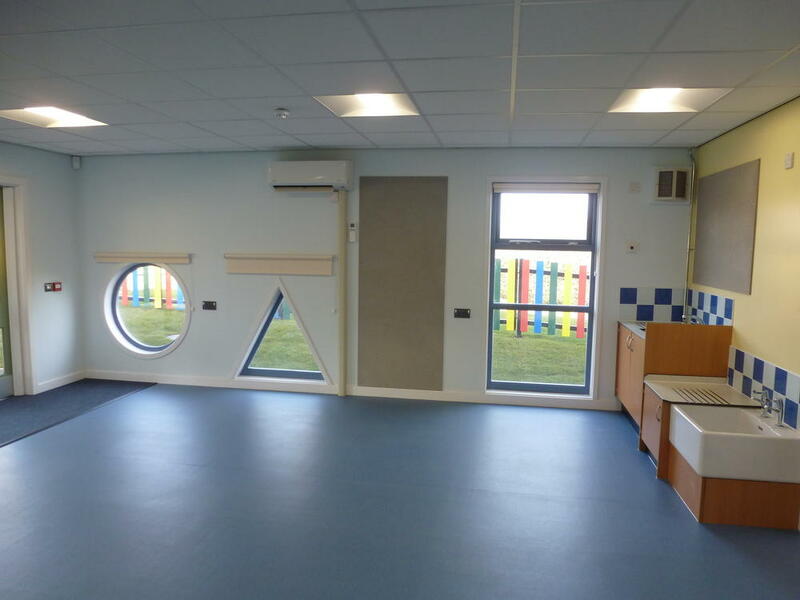 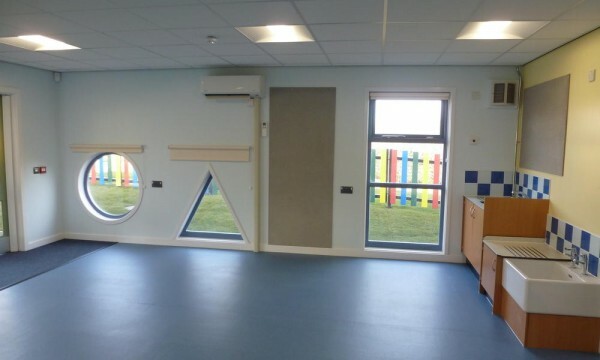 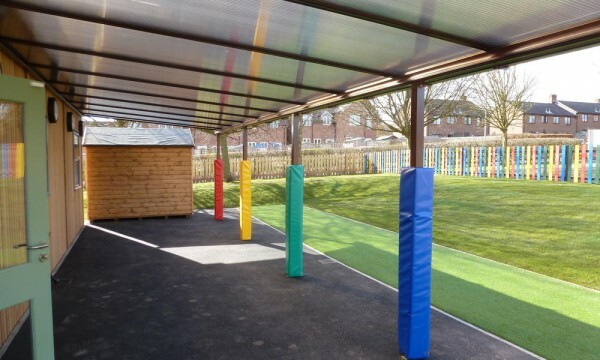 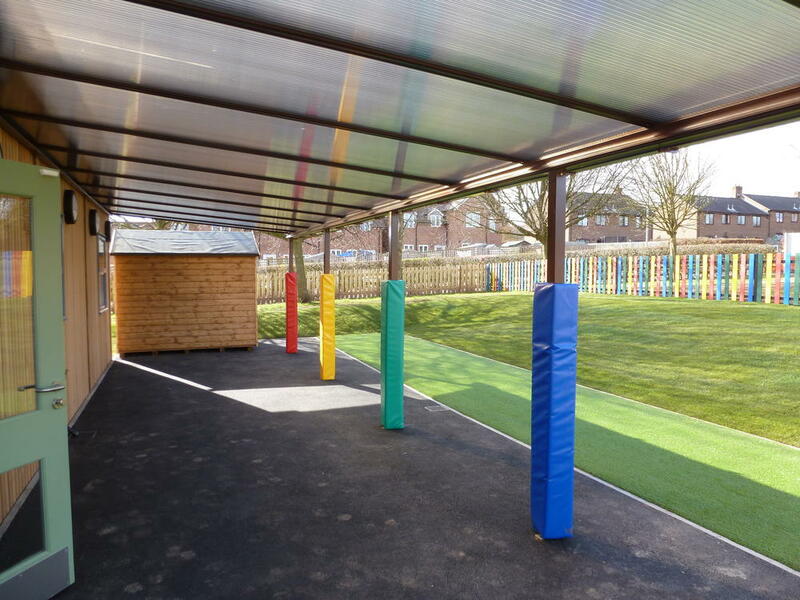 The building incorporates a number of innovative design features to make it a bright and fun place to learn; including bold primary colours and differently shaped windows.